The Northwest Climate Adaptation Science Center (NW CASC) provides a variety of resources that support sound resource management and adaptation. The NW CASC supports the development of useful resources and tools, such as publications, maps and models that are products of our actionable climate science. These resources enable regional resources managers and scientists to better access, use and apply this climate adaptation science. A juvenile grey wolf (Canis lupus) spots one of the Lynx Project camera traps used in former NW CASC Fellow Travis King’s research. 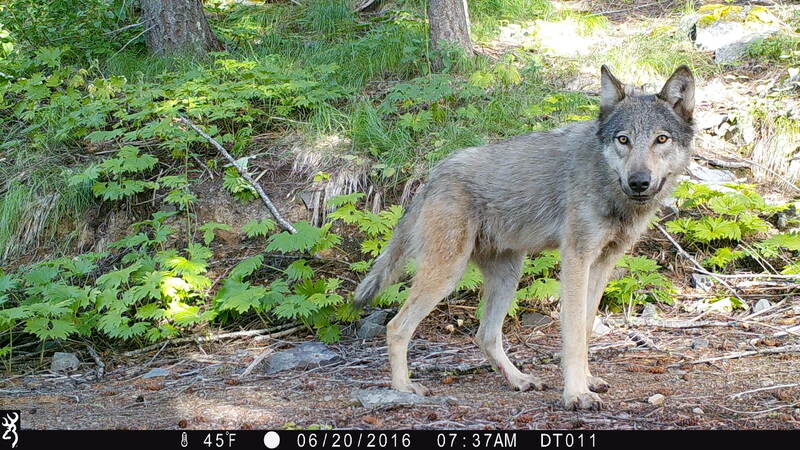 These camera traps were spread across the high mountains of Washington State.